Use Rewards for Hi-Five Animals! Animals, actions and giggles! Are you ready to high-five wild style? Start with a friendly crocodile! What’s the best way to say hello to anyone you meet? A handshake? Too formal! A hug? Too snuggly! The answer is a hi-five, of course! So come and practise your hi-five skills with heaps of friendly animals: a croc, a lion, an owl and an elephant. 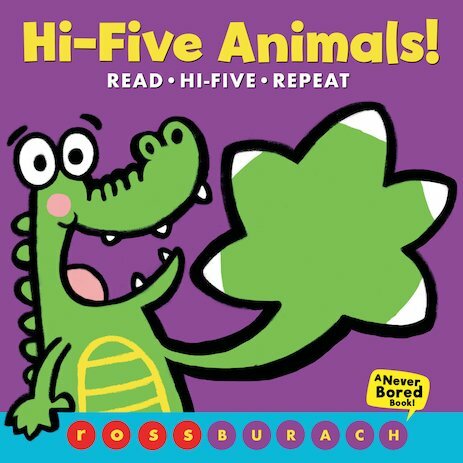 Do the actions, make the animal noises and learn to serve up the perfect hi-five!